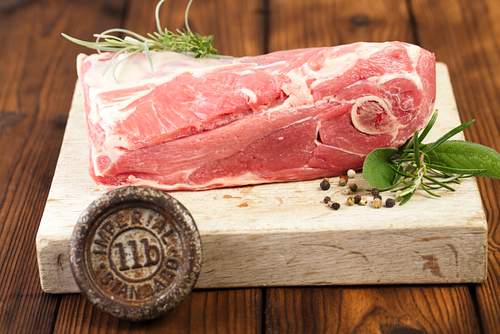 Whole shoulder of lamb are beautifully tender and tasty and perfect for a slow roast. They are all cut from free range & free range organic lambs. The lamb is from the Childhay farm and is super value for such a high quality product. TOP TIP: Take a shoulder of lamb , two whole onions, 4 cloves garlic chopped finely, carrots, celery, button mushrooms, sprig rosemary, 2 whole red chilli uncut, lamb stock and a bottle of real ale; salt & pepper to taste. Place all ingredients in a roasting dish, cover with foil and cook for 2 hours fifteen minutes on around 180 degrees gas mark 5 and then serve.